"Traditional style meets present-day function in the women’s-specific Viva 50. Five inches of adjustment in the torso and 3 inches of extension in the Fit-on-the-Fly hipbelt wings make for a highly adjustable solution for women of many sizes. Capable of carrying moderate to heavy loads, the Viva is equipped with an AirScape backpanel for a close-to-body carrying experience that’s remarkably breathable. A LightWire frame transfers the weight of heavy loads to the hipbelt so that the pack stays stable over any type of trail. An included removable raincover prevents your gear from getting soaked, a zippered sleeping bag compartment offers an easily accessible storage solution, and zippered hipbelt pockets keep trail snacks within reach. Outside the pack, the Stow-on-the-Go trekking pole system allows you to pack away poles without taking off your pack, while front panel daisy chains and removable sleeping pad straps offer external gear attachment. 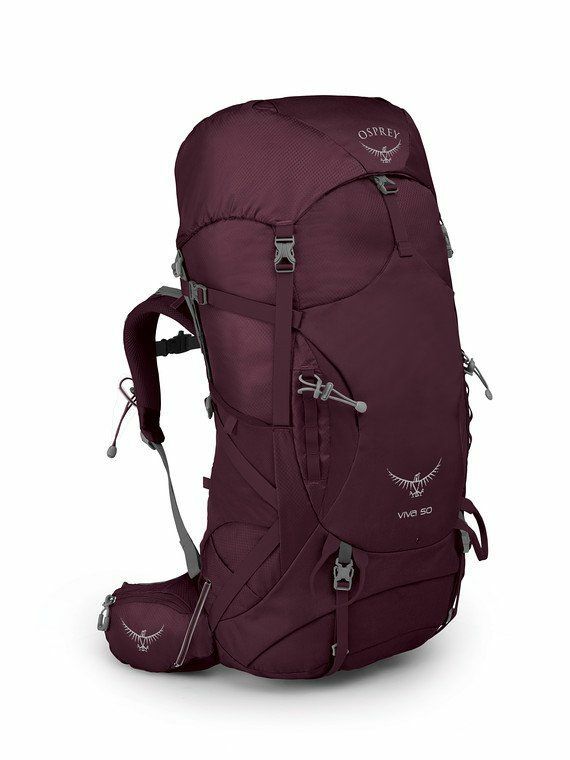 Excellent comfort and function no matter if you’re a backpacking veteran or it's your first time in the backcountry. Adjustable torso length: 14""/36 cm - 19""/48 cm. 3051 in3 / 50 l | 30.7h x 13.6w x 12.2d in. | 4.02 lbs."